This machine is a double-press type. 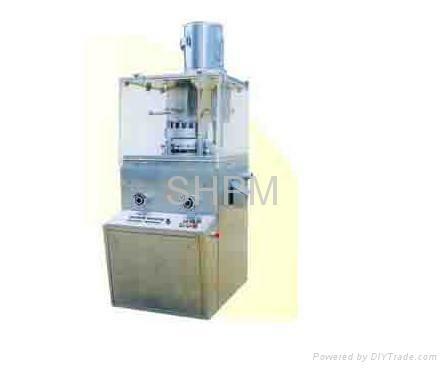 continuous automatic tablet press for pressing granular raw materials into tablets. 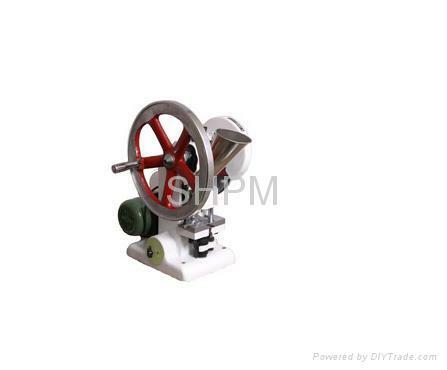 It is mainly used in pharmaceutical industry and also the chemical、food、electronic industries. ●Produce all kinds of round tablets, irregular tablets, double-layered and annular tablets. ●The outside part of the machine is fully-enclosed, The material of the cover and the inside babble face is stainless steel. 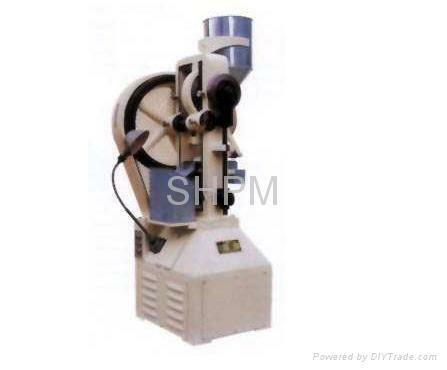 The turret face is specially disposed keeping the luster of the face and prevent the cross pollution, meeting the GMP requirement. ●It has transparent windows so that press condition can be observed clearly and the window can be opened cleaning and maintenance is easier. ●The lay-out of all the controllers and the operate parts is reasonable. ●The speed adjustment of the driver is controlled by the frequency conversion device. ●All the drive devices are located inside the machine so keep the machine clean. 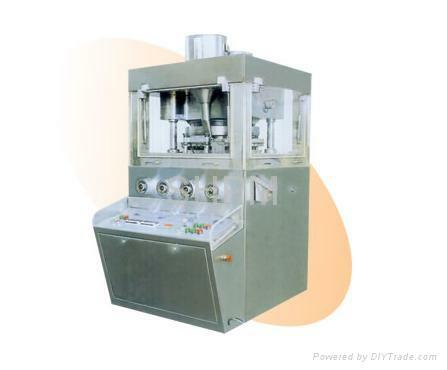 ●A overload protection unit is included in the system to avoid the damage of the punches and apparatus, when overload occurs, the machine stops automatically. 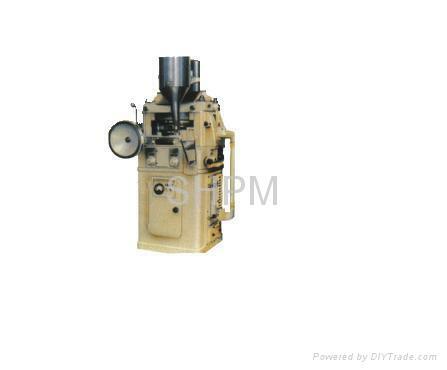 ●The punches and dies are also applicable to Model ZP19 ZP33.